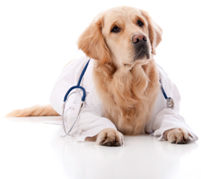 Vaccines are strongly recommended for the protection and health of your pet as well as other animals they may come in contact with, i.e. grooming and boarding facilities, dog parks, etc. Puppies and kittens receive important nutrients and antibodies from their mothers’ milk while they are nursing. However, once they are weaned, this passive form of protection is lost. It is at this point in their life that a vaccination program should be started.